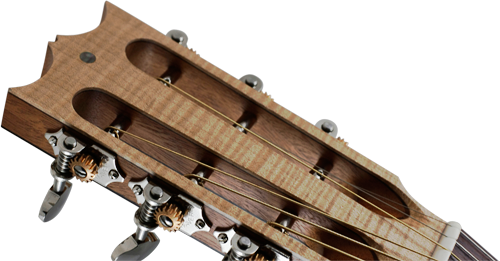 World-class guitar repair service in Scotland, based in Perth. With 20 years of multi award winning guitar making experience David has exhibited his instruments all over the world, at the most prestigious guitar exhibitions there are; but, now, after being forced to retire from instrument making due to suffering severe alergies to all woods, David has returned home from London to Scotland and is now, from 2017 onwards, concentrating purly on instrument repairs. As well as showing his wares globally, David has been repairing and restoring fretted instruments for all of that time, and has had one years part-time experience working for the UK's only Martin, Santa Cruz and National Resonator centre, and four years of wisdom repairing and restoring hundreds and hundreds of the broadest range of instruments imaginable as resident luthier of London's highly reputable Ivor Mairants Musicentre. So, neadless to say, he is highly qualified to take on all of your restoration and repair needs as a world renowned luthier, not just a "guitar tech", and finish them to a truly world-class standard. Instruments are shipped to David from all over the world for repair, and he is visited regularly by player from all over the world, - from as far east as Iran, and from as far west as Austin, Texas - from both the rich and famous, and the average learner or bedroom player, so rest assured that no matter who you are, or what instrument you play, you and it will all be treated with the exact same attention to detail, care and professionalism. With all of this in mind, I'm sure you'll realise that a trip to Perth for your instrument repair will be well worth the effort, especially since David's truly bespoke setup service is the only one of its kind known in the UK, and perhaps beyond. Working with you and your guitar David will tailor it to you for the most perfect match possible, within the available scope for adjustment of your instrument, "as you wait!" All visits are purely by appiontment only, so please click here to fill out a contact form, or call David personally to make one.